This upcoming weekend (March 24-25th) is Vermont’s annual Maple Open House Weekend, a chance to visit a working sugar house, observe & learn about the process in person, and of course sample some sweet maple treats. If you’re looking for some easy camp recipes to try with all that fresh syrup you come home with, we’ve got you covered, from breakfast through dessert. 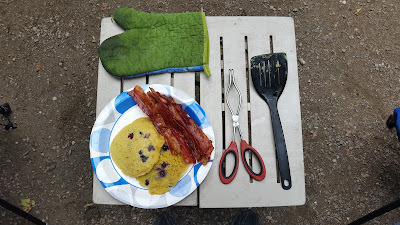 While camping, THE classic breakfast recipe is pancakes cooked on the griddle over a campfire after waking up in the fresh air & getting ready for a busy day. A filling, delicious meal is called for, and pancakes are a great choice. The basic mix is simple and can be made ahead of time, but the recipe can be personalized however you feel like. Add berries or other fruit, nuts, seeds, chocolate chips, shredded coconut, or whatever else you can dream up. A good flipping technique is also important…no one likes burned flapjacks! 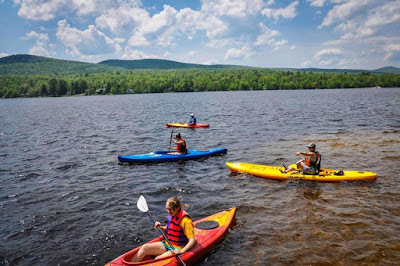 Many know and love the 27,000-acre Groton State Forest as a summer destination, returning year after year for camping, swimming, hiking, nature walks, biking, horseback riding, and more. As the season wears on, nights turn from crisp to cold, crowds at the beach disperse, and the last campers return home for the season as leaves turn from green to gold and orange. And so, by the time winter brings fresh snowfall to the forest, few people (and critters) that live there year-round are there to see. The landscape is less lush, of course, but with its’ own stark beauty. 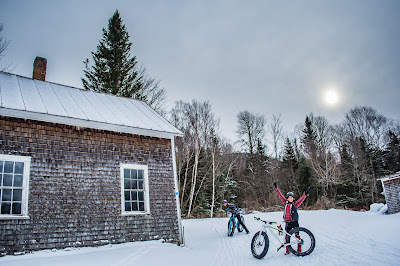 If you haven’t had experienced a winter Groton adventure yet, it’s definitely worth a trip. Registration is now open for the 21st annual Becoming an Outdoor Family weekend, taking place June 1-3rd, 2018, at Stillwater State Park in the Groton State Forest. This is a weekend for your family to enjoy a weekend together in a relaxed setting, while learning outdoor and camping skills at a variety of workshops geared for all ages, held by expert instructors. There is also built-in time for breaks & relaxation. Classes are wide-ranging and offered on topics like natural history, camp cooking, sports and outdoor activities like boating and hiking. This year’s new course offerings include outdoor yoga, kayaking, basic navigation skills, and knot tying.